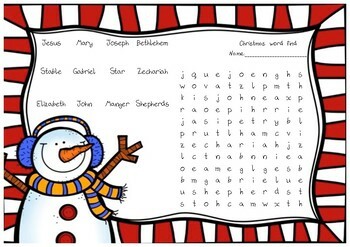 This is a word find using names from the nativity story (the birth of Jesus). There are 12 words to find. 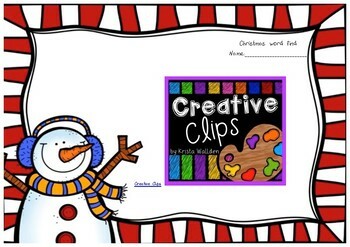 It has a border from Creative Clips and is in a lower case, handwritten style. The first two pages are identical, so you can print two on a page without hassle. The third page has the solution.